The New York Times reported today (link here) on the federal court decision late Wednesday in the trademark infringement lawsuit between Johnson & Johnson (“J&J”) and the American National Red Cross (“ARC”) over the famous "Red Cross" symbol. See Johnson & Johnson v. The American National Red Cross, et al, Case No. 07-cv-07061 (S.D.N.Y). A copy of the opinion and order by U.S. District Court Judge Jed S. Rakoff can be downloaded here. The court’s decision dealt with several motions for summary judgment brought by both sides and included not only J&J’s primary claims against ARC, but also several counterclaims brought by ARC against J&J for violation of the same statute that ARC allegedly violated, unfair competition, and cancellation of J&J’s trademarks. The basis of J&J’s original lawsuit was that ARC was in violation of 18 U.S.C. §706 (the statute which makes it a crime for anyone to use the Red Cross symbol other than the ARC and its duly authorized employees and agents), ARC’s federal charter, and the Geneva Convention when ARC entered into various licensing arrangements with several third parties (the “third parties”) authorizing them to sell products bearing the Red Cross symbol. Ultimately, it was the plain language of the statutes and past actions by the ARC and J&J which led the court to conclude that ARC was not in violation of §706, its federal charter or the Geneva Convention. After going through a detailed history of the Geneva Convention’s original efforts to foster a distinctive symbol to be used for international humanitarian efforts and the law passed by the U.S. Congress establishing the ARC’s federal charter (along with subsequent amendments), the court concluded that the Congressional Act establishing ARC’s charter (the “Charter Act”), on its face, did not impose any limitations on ARC’s use of the Red Cross emblem and logo. The court added that the prohibition language added to the Charter Act in 1910 (which served as the precursor to §706) itself suggested that “ARC could use the Red Cross logo and words ‘for the purpose of trade or as an advertisement to induce the sale of any article whatsoever or for any business or charitable purpose,’ since such uses were only forbidden to others.” Slip op. at 7. The court further noted that §706 in its current form on its face does not place any kind of limitation of any kind on the purposes for which ARC may use the Red Cross symbol. The court then went on to discuss how ARC for over a century before J&J’s lawsuit had entered into many licensing arrangements to use the Red Cross symbol in a commercial context. In 1904, ARC granted a license to a New Jersey company to sell various first aid products displaying the Red Cross symbol in return for a percentage commission of every product sold. Even J&J, in 1913, wrote a letter to ARC offering to manufacture first aid kits that would contain J&J goods but labeled with the Red Cross symbol and that would state that they were being manufactured by J&J on behalf of ARC. 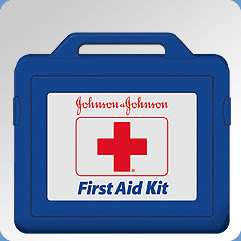 In the late 1980s, ARC licensed a company to make and sell an ARC first aid kit. In the 1990s, ARC partnered with several companies to put the Red Cross symbol on various products (watches, jewelry, and bottled water). 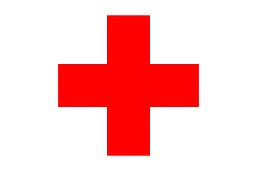 Today, ARC has agreements with various manufacturers to put the Red Cross symbol on items distributed in the medical field. The court rejected J&J’s argument that §706, while not prohibiting ARC itself from making commercial use of the Red Cross symbol, nonetheless prohibits the use of the Red Cross symbol by the third parties because the statute clearly prohibits such use by anyone other than those using the Red Cross symbol in a commercial context before the original prohibition was passed (such as J&J) and the ARC and its duly authorized employees and agents. J&J argued that, as licensees, the third parties are not duly authorized employees and agents. However, the court asserts that J&J misapprehends this statutory language and that it merely represents “classic corporate ‘boilerplate’” reflecting the reality that the ARC is a corporation and can only act through employees and/or agents and that this language says nothing about the scope of ARC’s permitted use of the Red Cross symbol or whether the symbol can be licensed. The court recast the issue as whether ARC’s right to use the Red Cross symbol under §706 includes uses by others in order to carry out ARC’s permitted uses. The court states “It could hardly be otherwise, for surely every business use, or for that matter charitable use of the Red Cross emblem and words by ARC inevitably involves some subsequent ‘use’ by a third party. . . . No reasonable interpretation of the statute prohibits such use, or any other use that follows in the ordinary course, once ARC, through its employees or agents, has lawfully authorized the initial business use.” Slip op. at 15-16. The court noted that J&J’s interpretation of the statute would criminalize ARC’s licensing arrangements that it had been entering into for the past century. The court focused on ARC’s “cause marketing” arrangements whereby distributors of commercial goods and services, in order to benefit from ARC’s goodwill, note on their products and advertising that a portion of the proceeds will go to the ARC. The court further highlighted the “doubtfulness” of J&J’s interpretation of §706 by noting the “ironic fact” that in 1986 J&J itself entered into a similar cause-marketing promotional agreement with ARC. In summary, “ARC itself is engaging in a use the statute permits, and the subsequent uses of the Red Cross emblem and words by the parties with whom ARC contracts, not to mention those still further down the usage chain, cannot be held to violate 706 without thereby rendering nugatory the permission granted ARC for the initial use.” Slip op. at 18. The court then proceeds to explain its dismissal of each of J&J’s claims. The tort of interference with prospective economic advantage under New York law was dismissed because ARC’s actions, even if they were deemed to violate §706, the Charter Act, or the Geneva Convention, do not constitute a crime or independent tort under New York law. The common law unfair competition tort was dismissed because J&J introduced no evidence of palming off or misappropriation. And the Federal and State trademark dilution claims were dismissed because J&J could not possibly show that the Red Cross symbol is a truly distinctive mark which consumers would see as a designation of J&J’s goods only given the ARC’s long-time use. The court did not dismiss, however, the claim against ARC for tortious interference with contractual relations – specifically, J&J had entered into settlement agreements with two parties over the use of crosses similar to J&J’s logo. The court concluded that a genuine issue of material fact existed about whether ARC knew about J&J’s agreements with the two parties when ARC entered into its own agreements with those parties and whether ARC thereby intended to induce the parties to breach their agreements with J&J. While the court’s decision was mostly a defeat for J&J, the court did dismiss the counterclaims against J&J by the ARC, thereby reinforcing J&J’s right to continue to use its logo on its products. Noting that the “grandfather” clause in the 1910 Charter Amendment is what allows J&J currently to use the Red Cross symbol “for the same purpose and for the same class of goods” as it was using before January 5, 1905, ARC attempted to argue that J&J’s current uses exceeded its rights under the clause. ARC objected to several of J&J’s products and modern-day variations of its logos; however, the court found that none of these uses of the Red Cross symbol created a different commercial impression than J&J’s pre-1905 use. The court commented that “If ARC were correct that J&J could only sell kits containing exactly the same products as those sold prior to 1905, ‘J&J would be constrained to continue forever selling kits that contain such antiquated products as cat gut ligatures and kidney plasters.’” Slip op. at 32 (quoting Pl. Rep. at 19). The court did not dismiss the counterclaims for trademark invalidity and cancellation of a trademark brought by the third parties because J&J’s arguments to dismiss were based entirely on the premise that the third parties did not have standing to bring such claims because their use of the Red Cross symbol was illegal – a conclusion rejected by the court, thus mooting J&J’s argument. I will admit that in my previous blog post about this case (link here), I called this one wrong. I would have opined differently had I known all of the details of ARC’s past licensing activities, including those involving J&J (factual details that, in my defense, I did not have at the time). While the court may be correct that ARC’s licensing activities do not violate the plain language of the statute, I think it does violate the spirit of ARC’s exclusive right to use the Red Cross symbol and the implicit notion that any use should not be of a commercial nature, but only as part of the original humanitarian purpose of the Red Cross. The court even quotes an official commentary to certain prohibitions set forth in the Geneva Convention on the use of the Red Cross symbol (most notably, the admonition to Red Cross organizations worldwide that sell products bearing the Red Cross symbol in order to raises funds because such use is “likely to lessen, in varying degrees, the standing of the emblem, and are therefore prejudicial to the good name of the Red Cross as a whole.”). However, the court set aside this commentary as merely discouragement of such use, and not a prohibition. It will be interesting to see if J&J decides to appeal this case once a final decision is made. Most of the press believes the lawsuit to be a public relations disaster for J&J. Of course, there is always another alternative for J&J – if the court finds that the law does not on its face prohibit such licensing activities, then lobby Congress to change the law. While the ARC may cry foul at any such efforts, J&J has enough to make a reasonable argument before Congress that ARC’s use of the Red Cross symbol should be scaled back to a use more in line with its original purposes. ARC’s charter, after all, is a government granted charter – and what the government giveth, the government can taketh away.